K-pop boy band Monsta X will begin their world tour in Seoul and perform in 18 cities worldwide. 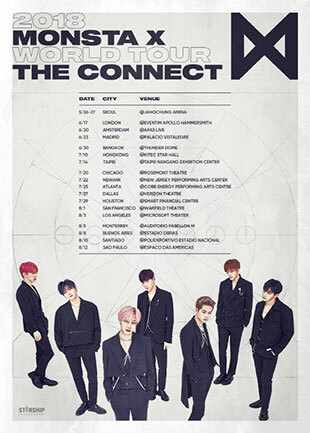 The seven-member group will hold a tour titled “The Connect” in 18 cities around the world including London, Amsterdam, Madrid, Bangkok, Hong Kong and New York. The tour will begin in late May and finish in late August. The group held a world tour titled “Beautiful” eight months ago. Their sixth EP “The Connect: Dejavu” which was released in March topped the iTunes K-pop album chart in 25 countries.